You're searching for that one special ring — a ring you can't take your eyes off. You want a ring that inspires your passion and reflects your uncompromising attitudes toward craftsmanship, beauty and desire. The Wedding Ring Shop is delighted to welcome you to our collection of Kirk Kara wedding bands and engagement rings. 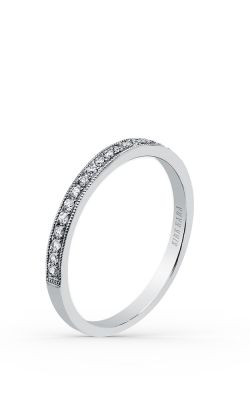 Each ring is hand engraved and takes up to six hours to complete. None of the Kirk Kara pieces are preset in a mold, and perfection is pursued relentlessly. 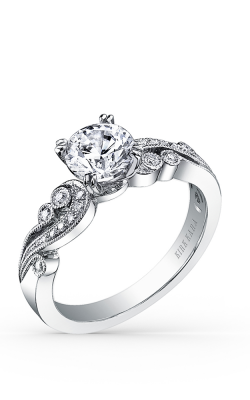 The signature filigree is hand-carved with peek-a-boo diamonds on each side. Our Kamaaina family understands your journey begins with a dream and ends with perfection. Our Oahu showroom promises you expertly chosen designs from Kirk Kara, including wedding and engagement rings you won't be able to forget. Our sales and service staff will welcome you through our doors with the warm attention and expert care you’ve come to expect from native Hawaiians. For the most personal experience, visit our showroom to see for yourself why Kirk Kara's detailed and beautiful designs have stood the tests of love and time for well over 120 years. Extraordinary craftsmanship and magnificent engraving — those are the qualities that set Kirk Kara jewelry apart from every other designer in the world. The islands of Hawaii are recognized around the world for their unparalleled natural beauty and warm, hospitable people. At The Wedding Ring Shop, our Kamaaina family invites you to bring the spirit of the islands home with the one-of-a-kind jewelry from Kirk Kara. Call to schedule an appointment with one of our diamond experts to begin our dedication and a lifetime relationship of service to you. Visit our Hawaii showroom for the most personal service or explore our online selection to discover Kirk Kara on Oahu at The Wedding Ring Shop.